This property at 53 Granite Street , Hopkinton, MA01748 has listed by Beth Feather but has not been updated for quite some time. Please contact the listing agent and broker for up to date information. 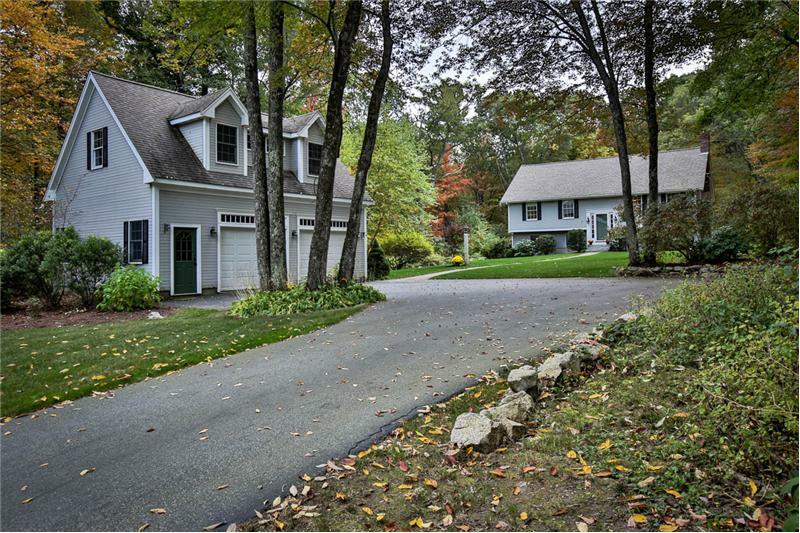 Gorgeous setting for this 3 bedroom 2 bath home on private acre lot in Hopkinton. Spacious kitchen with stainless appliances and granite counter tops, a dining area that opens to a year-round sun room with skylights and cathedral ceiling, perfect for entertaining or as a playroom. A living room with fireplace, hardwood floors and custom built-ins. Lower level has additional family room with new carpet and gas stove, 4th bed/home office, full bath and laundry. A composite, two tiered deck leads to a level backyard with new irrigation system. 24x30 detached 2-car garage with room for expansion! 53 Granite Street is a beautiful home with privacy that a wooded lot offers along with the character of a suburban family neighborhood. Continually updated throughout its life, this property is in pristine, move- in condition with potential for even more expansion. A warm inviting living room greets you as you walk up the stairs to the main living floor in this home. With a fireplace and custom built-ins it is a great place to sit and look out over the manicured front lawn. The spacious kitchen has been updated with stainless steel appliances and granite counter tops. The dining area opens to a gorgeous year round sun room with cathedral ceilings and walls of windows, great for entertaining or using as a playroom. Three bedrooms and a full bath are also located on the main level of this home. Two of the bedrooms have wall to wall carpeting and the master bedroom has hardwood floors. The finished lower level offers another family room with a free standing gas stove. There is an updated full bath and space to be utilized as a home office, 4th bedroom or in-law area. Storage and laundry complete this lower level. A composite, two tiered deck leads to the level back yard recently updated with a new lawn and irrigation systems. A detached 30ft x 24ft oversize 2-car garage was added to the property in 2007. Stairs with a separate entrance in this garage lead to a partially finished second level. Potential for home office, gym or whatever!